If you’re considering renovating or extending your home or investment property, you can do so without it costing the Earth. Here are some top green home renovation tips that will boost your eco-friendly credentials. Typically, the more extensive your renovations are, the more extensive their carbon footprint will be. In addition, a larger home will usually use more resources, as there will be more space to light, cool, heat and so on. Rather than increasing the size of your home, consider making the most efficient and effective use of what you already have. Extend your outdoor areas by incorporating decking and al fresco spaces; cosmetic improvements and clever décor such as mirrors and light colors can often provide a sense of extra space. A great way to make your home more eco-friendly is to reduce your energy needs. 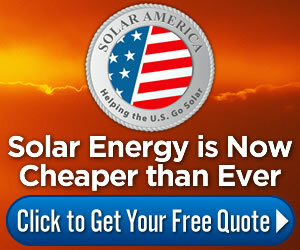 Low-energy light bulbs and solar panels can make a big difference, as can ensuring that your home is well insulated. Installing eaves and double glazed windows can make a big difference for your energy needs, while opting for a garden that incorporates native plants can be a great way to cut back on your water needs. Consider installing a water tank as well. Recycled fixtures and fittings are a great way of adding both personality and a sense of history to your home. On top of that, they’re an excellent way to cut back on the environmental impact of your renovations. Look into sourcing reclaimed timber, vintage handles and tapware, antique basins and baths, and even tiling and lighting options. These can provide visual appeal while reducing the carbon footprint of your renovations. While the greenest option is to reduce your carbon footprint in the first place, carbon offsetting is definitely a step in the right direction. Some building companies can assist with carbon offset schemes or advise about other ways that you can give back to the environment through sustainable building approaches, so be sure to ask. There are a myriad of earth-friendly sealants, paints, finishes and other sustainable building materials on the market. By incorporating these into your renovation, you’ll be able to ensure that you’re doing your bit to prevent damaging storm water run-off and to avoid releasing toxic fumes into the local environment. There’s never been a better time to make your home renovation a green one, so do what you can to ensure that your home renovations are eco-friendly.